BERLIN -- Volkswagen Group's core VW passenger cars brand expects its operating profit margin to moderately exceed a 2.5 percent to 3.5 percent target range this year, finance chief Frank Witter said. VW's largest division by sales had previously guided for the profitability benchmark to come in at the upper end of that corridor and will disclose more details on Monday, Witter said on Friday during an earnings call, without being more specific. The new forecast is in line with VW's guidance for the group's profitability benchmark which the carmaker earlier on Friday said would also moderately beat a target of between 6.0 percent and 7.0 percent. Net cash outflows to fund costs for the diesel emissions scandal may reach 2.5 billion euros ($2.9 billion)in the final quarter, same as in the July-to-September period, and between 4.5-5 billion next year, Witter said. Sales chief Fred Kappler said there is pressure on residual values of diesel-engine cars, though it is not dramatic. 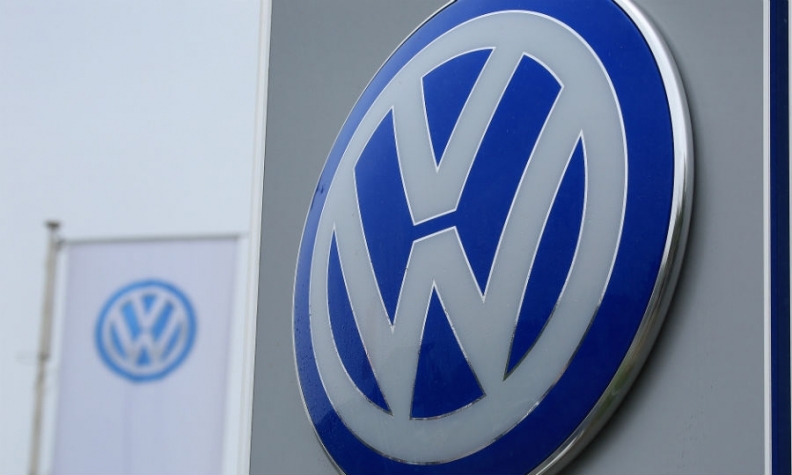 Kappler said about 50 percent of VW's new-car orders in Germany are backed by incentives the carmaker is offering buyers to trade in older diesel cars in return for cleaner models, adding that customers' response to the program has been good.